Your private english speaking Datong guide and driver will meet you at hotel lobby in Taiyuan in the morning 08:00. 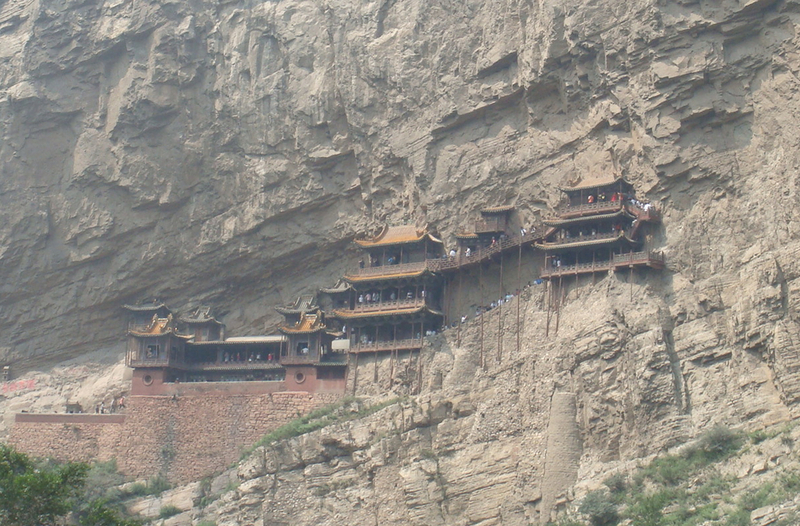 Then drive you to the hanging temple （3.5 hours driving), you are going to spend about 1 hours to visit this temple and climb up to the temple then 2 hours drive to the Yungang Grottoes. After finish the visiting, they will drop off you at your hotel in Datong or drive to Taiyuan hotel. Built in 1500 years ago, It looks like that is growing from the cliff about 50 meter height, How do you think you are standing on the stairs of the temple, it is value to pay 130yuan to climb up and enjoy the feeling of the height, you also can see the statues of the Buddhist(Sakyamuni), Taoist(Laozi) and Confucius(Kongzi) in the highest room. See this temple from the far away, until you climb up, you would say this is amazing temple. After lunch. 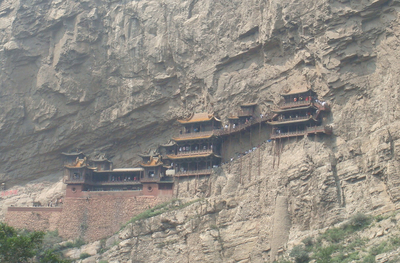 Continue to visit the Yungang Grottoes, You will have 2 hours to see these grottoes. Oldest grottoes are carved in 1500years ago too, still have about 51,000 statues. Last about 1km from east to west, Recommend you to see the cave 3, 5, 6, 9, 10, 11, 12, 13, 14, 15 and 16 to 20. Going to have a talking with the giant statues, all of the giant one represent the one of the emperor in the Northern Wei Dynasty. And the take the picture of you with the statue of Cave 20. 2. Private car and driver for the trip. 3. Entrance fee of the sights are listed in the itinerary.